Nicaragua, very much in the news when we last reviewed its coffees in 2004, seems to have slid into the background of coffee consciousness again. In 2004 general coffee prices had just recovered from devastating lows and Nicaragua was in many ways the poster origin representing both the suffering in the coffee sector caused by low prices as well as exciting signs of recovery supported by a new emphasis on quality and the impact of the fresh, game-changing Fair Trade movement. Today, however, green coffee prices are just coming off all-time highs, Fair Trade continues to grow but is hardly big news any more, and small, “micro-lots” of very specific coffees brought to a medium to light roast are the trend of the moment, with sustainability and Fair Trade mainstreamed and hardly the market differentiators they once were. Perhaps these are the reasons we had to push extra hard to gather an interesting collection of Nicaragua coffees for review. Panama, for example, which exports about 72% less coffee than Nicaragua, tends to feature prominently in the single-origin menus of high-end North American roasting companies, most likely owing to its growing range of niche coffees featuring refinements in processing methods and unusual or heirloom botanical varieties. Possibly the Panama industry, compact and dominated by medium-sized farms whose leaders are in regular contact with North American buyers, is in a better position to respond to changes in the American specialty industry than is Nicaragua, whose production tends to be dominated by coops that often produce exceptional coffee, but whose leaders may be less connected to the shifting interests of trend-setting North American roasters. Nevertheless, the coffees reviewed here represent an inspiring range of Nicaragua coffee expression, and perhaps indicate that the trend-setters among American specialty roasters ought to pay a little more attention to the origin. Furthermore, these coffees represent an interesting range of how the American coffee scene understands and markets single-origin coffees in 2011. In my 2004 article on Nicaragua, I described the typical Nicaragua taste profile as “sweet, balanced, rich, often full-bodied, with more emphasis on the low-toned chocolate and apricot/papaya side of the fruit sensation than on the higher-toned, floral, citrus side.” That description still appears to apply. At least two-thirds of the thirty-six Nicaragua samples (from twenty-five roasters) we tested this month evoked that profile with varying emphases and degrees of success. But, as has been happening across the coffee world, Nicaragua growers are experimenting with and refining their production in ways that expand and challenge their origin’s traditional profile. Nevertheless, this month’s highest rated sample, the Stauf’s Nicaragua SHG (94), embodies the traditional Nicaragua profile at its best and most characteristic: deep in sensation, syrupy in mouthfeel, powerful but quietly rounded in acidity, with a complex range of aromatics clustered at the orange, dark chocolate and aromatic wood end of the spectrum. It is traditional in other ways as well. It is presented in a classic medium roast, and it represents an old-fashioned approach to origin in regard to supply-chain: It is not a fussy, one-farm-only coffee, but a version of the Nicaragua profile deliberately crafted by blending coffee from two different Nicaragua growing regions. In short, this is a version of a Nicaragua that might have appeared decades ago before the trend set in of marketing coffee by specific farms and microlots rather than simply by grade and country of origin. It appears to be a carefully edited coffee. In all respects except quality the Stauf’s sample contrasts strikingly to the 93-rated Mierisch Farms Pacamara Natural Process from Muddy Dog Roasting. The Muddy Dog Pacamara is a microlot in extreme. It is composed of a relatively unusual (though increasingly popular) variety of Arabica, the Pacamara, a cross between the huge-beaned Maragogipe and Pacas, a selection of Bourbon. But not only is it produced from a single unusual variety, but it is also dried in the fruit, an atypical processing method in a country whose fine coffees are almost always “washed,” or dried after the fruit has been removed from the beans. 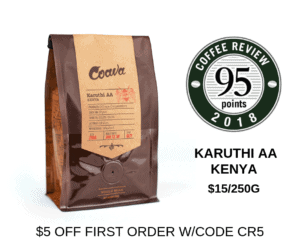 The result of this unorthodox “natural” processing is a coffee style familiar to insiders but still exotic for many consumers: sweet, richly fruit-toned, slightly fermenty and brandyish. Such coffees can be overly fermenty, with the fruit tones approaching rotten, or can turn out bitterish and salty. This one is neither: It represents the rich, flamboyantly fruit-toned potential of the type strikingly well. But how “Nicaraguan” is it? This coffee most likely could have been produced anywhere in Central America where Pacamara is grown and the mill manager feels experimental. In other words, it arises from a context far different from the Stauf’s SHG, a coffee produced using processing methods and varieties typical in Nicaragua and then refined through selection to represent the coffee profile the industry considers “typical” of the origin. Next, the 93-rated Nicaragua Wiwili Organic Microlot from True Beans. In many respects this is a Nicaragua that reflects the historical moment between the high-end genericism of the Stauf’s Nicaragua and the very specific, unorthodox microlot represented by the Mierisch Farms/Muddy Dog Pacamara Natural. It is a cooperative coffee (it even bears the name of the first Nicaraguan coffee cooperative founded in the 1920s by hero of the left Augusto Sandino), it is certified organic, and reflects the emphasis on quality encouraged by development programs in the middle of the last decade. Like the Stauf’s SHG, it embodies a version of the classic Nicaragua profile: in this case low-toned, deep, svelte, a triumph of structure and balance. The Counter Culture Nicaragua 5 de Junio (91) returns us to the world of the highly individualized microlot, although with a specifically Nicaraguan twist. This coffee was produced by a well-organized, quality-oriented cooperative of small producers from a very unusual variety, the gigantic-beaned Maragogipe (in Spanish, Maragojipe), a natural mutant variety of Arabica first discovered growing in Brazil near the town of Maragogipe but now mainly grown elsewhere in Latin America, especially in Nicaragua. In the Counter Culture version, a very pure wet-processed preparation together with very light roasting emphasizes its delicate but deep floral notes. More characteristically Nicaraguan than the Mierisch Farms Pacamara Natural, perhaps, but still a unique and focused product, clearly different in that respect from the more generalized, classic expression of the Stauf’s SHG. Nicaragua coffees typically are admired more for body and richness than for brightness and acidity. 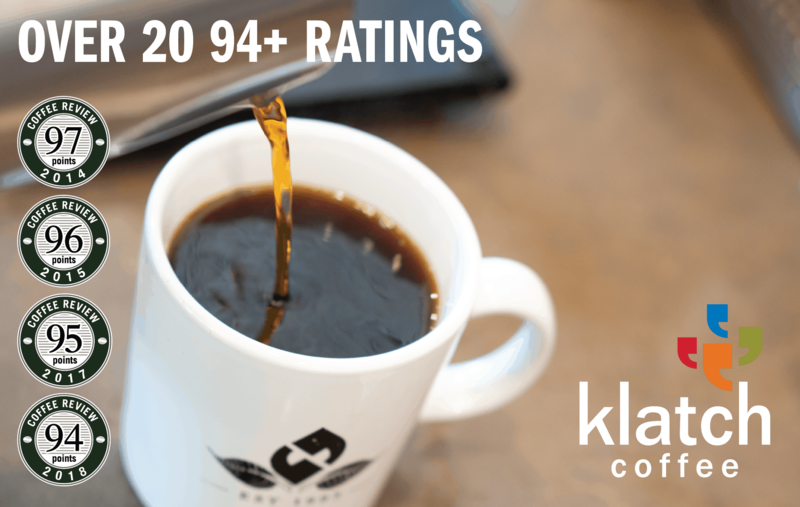 The Café Grumpy Nicaragua Santa Teresa (90) breaks from that expectation with a display of rich, almost fiercely intense acidity. This is a coffee that many coffee drinkers, with their sensitivity to acidy brightness, would be wise to avoid, but one that acidity-loving insiders will enjoy for its over-the-top intensity. Finally, the Fratello Nicaragua Finca El Limoncillo Pacamara (90) nicely shows the savory-sweet, port-wine richness often displayed by the increasingly popular Pacamara variety. Offerings from several respected Nicaragua farms and coops did not stand out in this year’s sampling, a disappointment for me and doubtless for the roasters who offered these coffees and the farmers and managers who produced them. Creating fine coffee is an extraordinarily complex and challenging undertaking, and one of its most frustrating aspects is the way a given field of coffee will produce not only a different yield, but a differing cup from year to year for reasons that often can be guessed at but at other times appear arbitrary and baffling. In fact, this unpredictability is one reason the traditional coffee supply chain produces coffees like this month’s Stauf’s Nicaragua SHG, which are origin blends rather than coffees from a single farm or coop. Weak or uncharacteristic production from one farm or region can be offset by stronger and more characteristic production from others. However, for many other reasons, good reasons in my view, reasons that range from altruism (long-term financial stability and recognition for farms and coops of small producers) to curiosity and connoisseurship (the thrill of connecting the details of production to the subtleties of cup), the trend toward marketing specialty coffee by specific farm, cooperative and lot doubtless will continue to grow. Based on this month’s small sampling, Nicaragua appears to have something to offer both traditionalists and microlotters. 2011 The Coffee Review. All rights reserved.